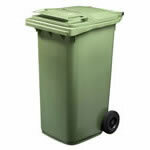 Our extensive waste recycling products are unrivalled and include recycling products for almost every element of the domestic and commercial waste streams. 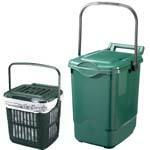 We have specialist solutions for organic waste, dry recyclables, hazardous waste and workplace recyclables. 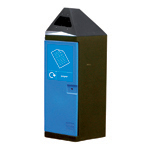 Solutions are available for the collection, storage and transportation of different materials, either for recycling or for other forms of disposal. 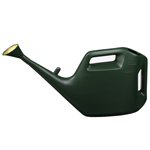 A further selection of products is offered to help improve resource efficiency, including a wide range of environmental garden products and accessories such as rainwater butts and home compost bins. 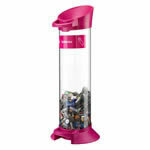 Our range is always growing as we continue to anticipate trends and needs in order to deliver innovative new products. 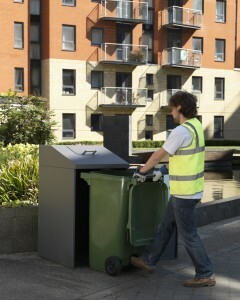 For more information on our product range please download our brochure. 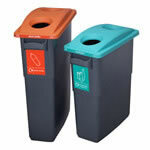 We offer a broad range of plastic wheeled bins, customisations and modifications as well as complementary products. 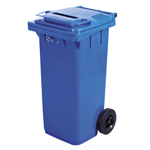 Our high-specification steel bins are available in a variety of sizes and are designed to offer industry-leading quality at a competitive price. 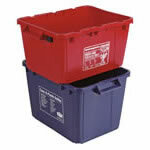 A range of tough and durable containers designed for confidential document collection and disposal. 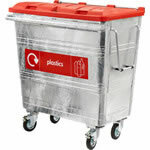 We provide a range of innovative and unique containers specifically for the collection of hazardous waste, such as batteries. 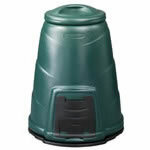 As the UK’s leading supplier of home composters, we offer a fully comprehensive range of home compost bins and accessories. 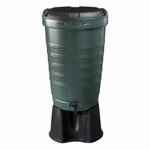 We offer a selection of market-leading water butts available from 100 litres upwards, as well as accessories. 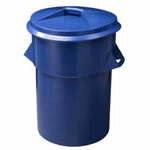 In addition, our range includes other water saving devices such as tap adaptors and shower flow regulators.